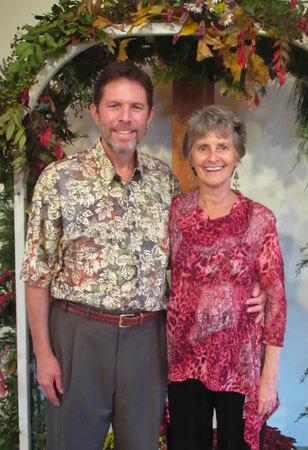 The school is owned and lead by Rick Rosen and Carey Smith, a husband-and-wife team. As co-directors, they have united their diverse backgrounds in therapy, education and the arts to create a visionary model for learning — one which is grounded in the qualities of kindness, respect, personal responsibility, authenticity, embodiment, and love. Their ongoing collaboration provides a dynamic and supportive environment for students, staff and faculty alike to express their fullest potentials. Rick Rosen is the founder and co-director of the Body Therapy Institute. He is one of the nation’s foremost massage educators, and has served as a leader and advocate for the massage therapy profession. From a background in visual communications, Rick began his work in the field of natural health in 1978. His training and experience span a wide range of therapeutic systems — which formed the basis for the integrative approach to massage therapy taught at BTI today. He was the founding chairman and a past member of the North Carolina Board of Massage & Bodywork Therapy, and was the first Executive Director of the Federation of State Massage Therapy Boards. More recently, he served as a founder and Executive Director of the Alliance for Massage Therapy Education, a national organization for massage schools, teachers and continuing education providers. Rick is a 2010 inductee into the Massage Therapy Hall of Fame, was named as one of the Top 10 People in Integrative Medicine/Integrative Health Care in 2010, and received the AMTA National President’s Award in 2013 – the association’s highest honor in recognition of service to the profession. Rick has a master’s degree in humanistic psychology from West Georgia College, and a bachelor’s degree in advertising from the University of Florida. He is a graduate of the Florida School of Massage, is certified in body-centered psychotherapy by the Hakomi Institute, and is certified in structural integration. Carey Smith is the co-director for the school. She began her work in the education field in 1978 with the Montessori Method of Childhood Education, and has provided teacher training, team-building and inspirational programs for both public and private schools. She has also been a keynote speaker at several national massage therapy education conferences. Carey specializes in curriculum design and in the creation of optimal educational environments. At BTI, she developed The Spirit of Learning® – a Teacher Certification Program for Massage, Somatic & Healthcare Educators. This work continues at BTI through the Center for Embodied Teacher Education, which Carey directs. Through her work with both teachers and students, she holds a vision of the inherent worth, dignity and originality of each person as they manifest their life’s purpose. In addition, Carey brings her great love of gardening and landscape design to the campus at South Wind Farm – her way of nurturing the soul through the healing elements of nature. Carey has a bachelor’s degree from the University of Michigan in romance literature and languages, as well as a teaching certificate from the American Montessori Society. She is a BTI graduate, is certified in DansKinetics from Kripalu Institute, and holds the designation of Master Somatic Coach from Strozzi Institute. She is the recipient of the 2009 Jerome Perlinski Teacher of the Year Award from the American Massage Therapy Association, and is a 2011 inductee into the Massage Therapy Hall of Fame. Carey is also an accomplished artist and poet. Her first book was published in 2006, entitled Awakening Wisdom: Exploring the Confluence of Learning, Healing and Creativity. Carey and Rick are both contributing authors to TEACHING MASSAGE: Fundamental Principles in Adult Education for Massage Program Instructors, published in 2008 by Lippincott Williams & Wilkins.